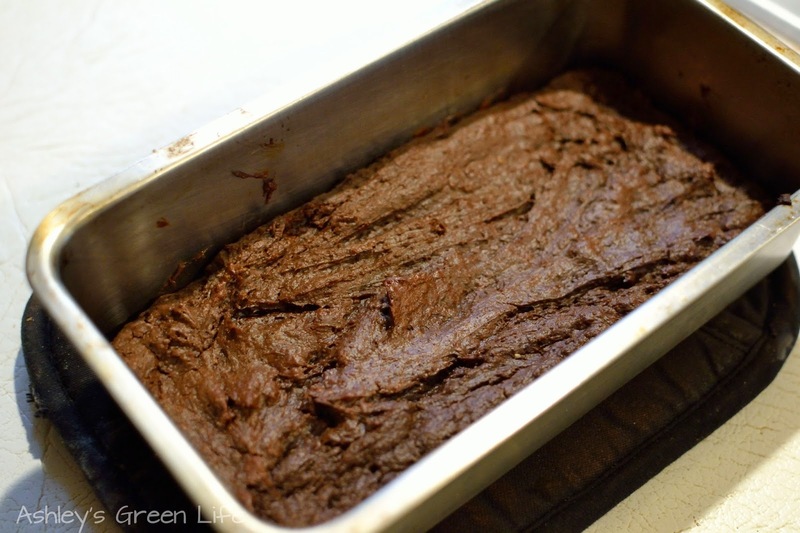 I got a craving for brownies a few weeks back (no I'm not pregnant), and was bummed to find that so many of the vegan recipes I found on Pinterest called for a ton of sugar. 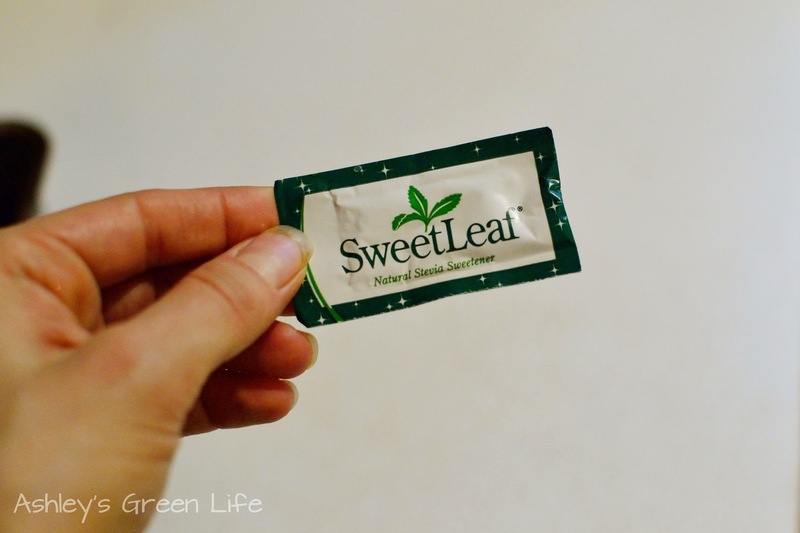 Lately I've been trying to cut down my sugar, even natural sugar like coconut sugar and maple syrup (goodbye my two sweet loves), and instead only use stevia or fruit to sweeten things. That makes a brownie recipe a bit tricky. 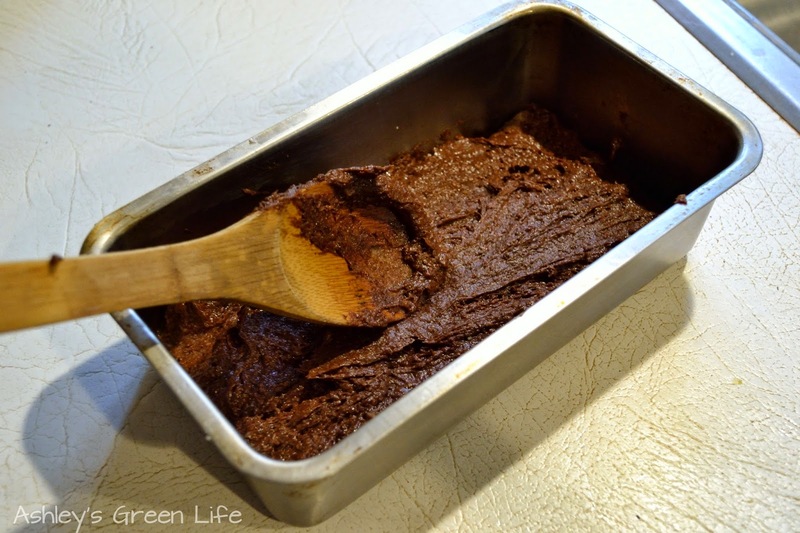 But I did come across a yummy recipe from the blog The Spunky Coconut for "Vegan, Egg-Free, Grain-Free Brownies", and after some tweaking, I've found a recipe I love and that I can feel good about eating...well, I mean it's still brownies, but at least it's a slightly healthier option. The base of this recipe is actually a combo of applesauce and nut butter, so it's free of grains, both gluten and non-gluten, and full of protein. 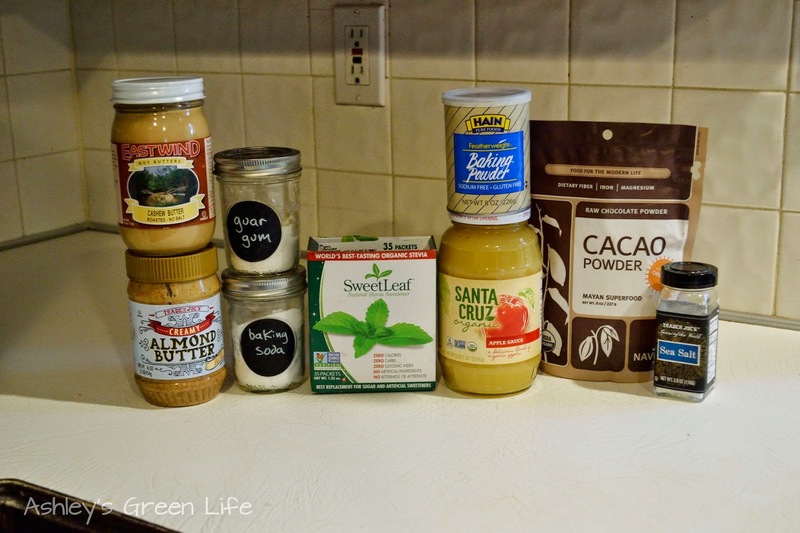 Some may argue, full of fat, but depending upon the nut butter you choose, it could be high in protein and some minerals. Add in a little bit of raw cacao powder for an antioxidant punch and a little stevia to sweeten it up and you've got a nice little treat. Bonus, this is quick to make in one bowl, and hey if you don't have time to bake it in the oven, the batter tastes to die for, a common way I end up eating at least 1/4 of the batch each time. 1. 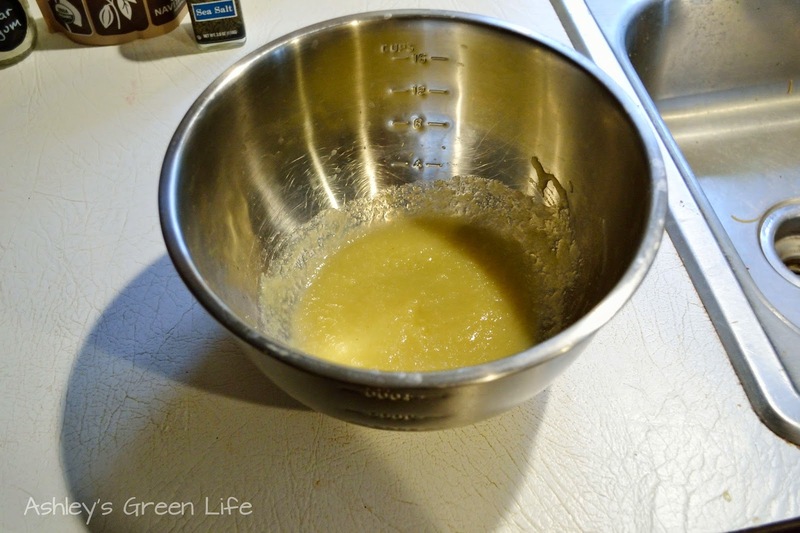 Stir the applesauce, water, and guar gum together in a bowl with a whisk for a minute or two. 2. 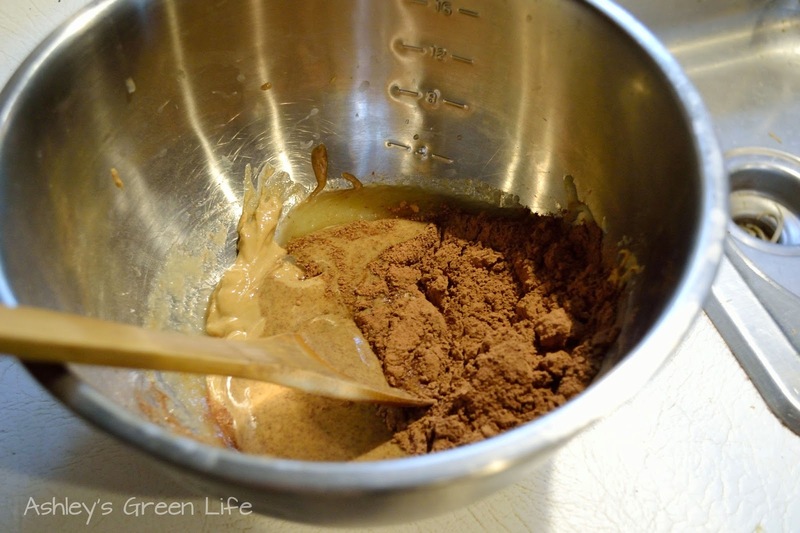 Now add the rest of ingredients to the bowl and mix until well combined. 3. 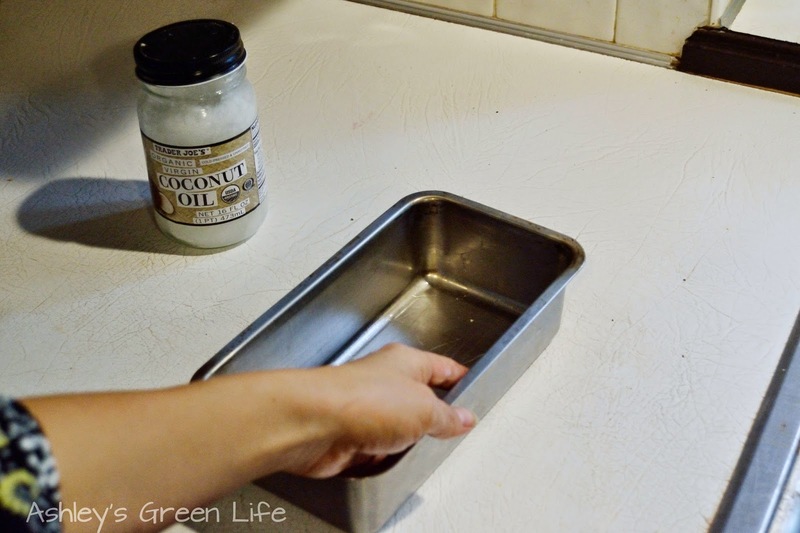 Grease a loaf pan with some oil, I use coconut oil. Also I chose a loaf pan for this because it's a smaller batch and it gets too thin and flat if I use a square baking pan. So a loaf pan gives it those nice crispier/crunchier edge pieces and gooey middle pieces. 4. 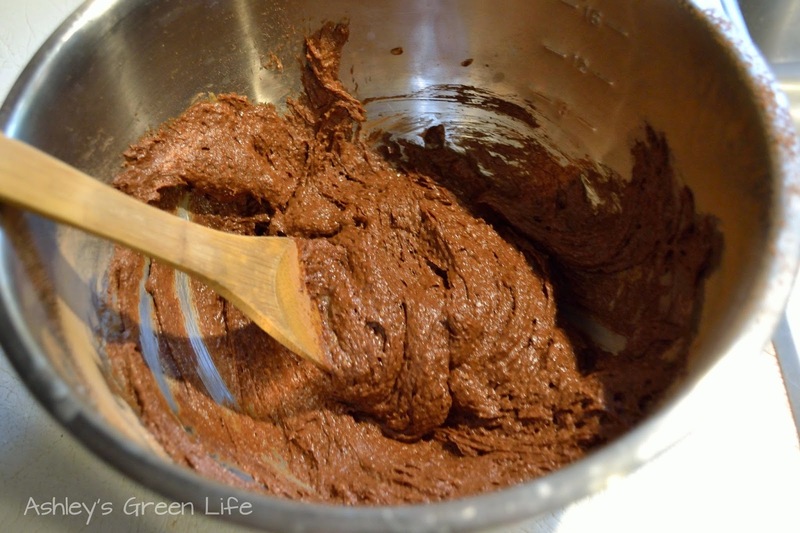 Now scoop the batter into the pan and smooth it around with a spoon. 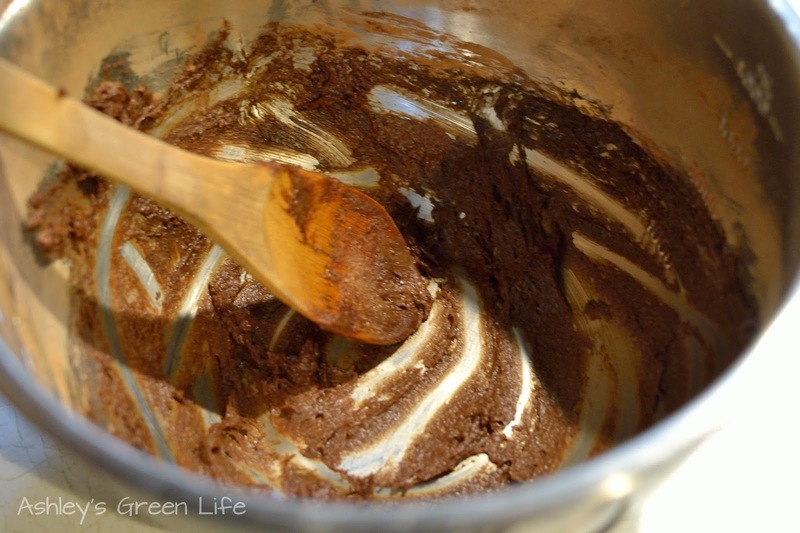 This would be a great time to eat the remaining batter in the mixing bowl! 5. Bake for 25-28 minutes at 350 degrees. 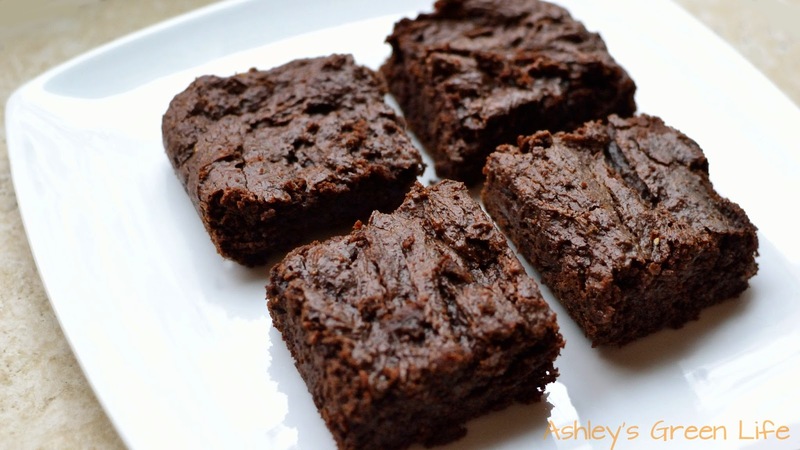 Let it cool for 5-10 minutes and then you can slice it up and serve it with your milk of choice...trust me you'll want something to drink as these brownies are pretty rich. Now enjoy (and try not to eat the whole pan!). I store my leftovers in a container in the fridge and eat it from there so I can make them last for several days. 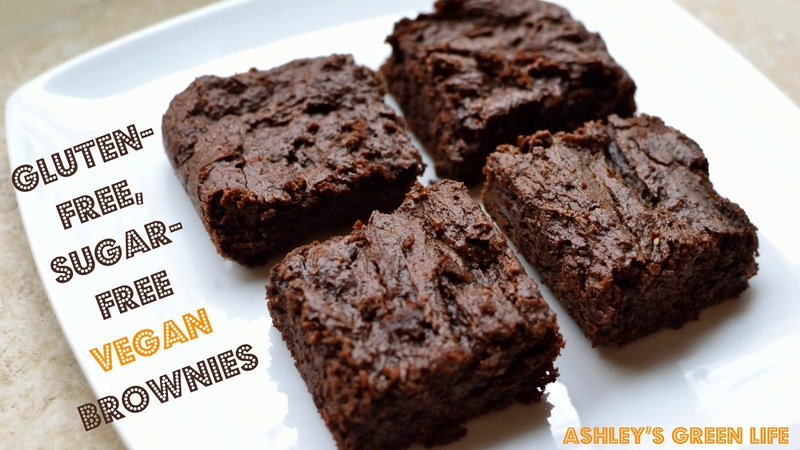 Now it's your turn to share, what's your favorite "alternative brownie recipe"? 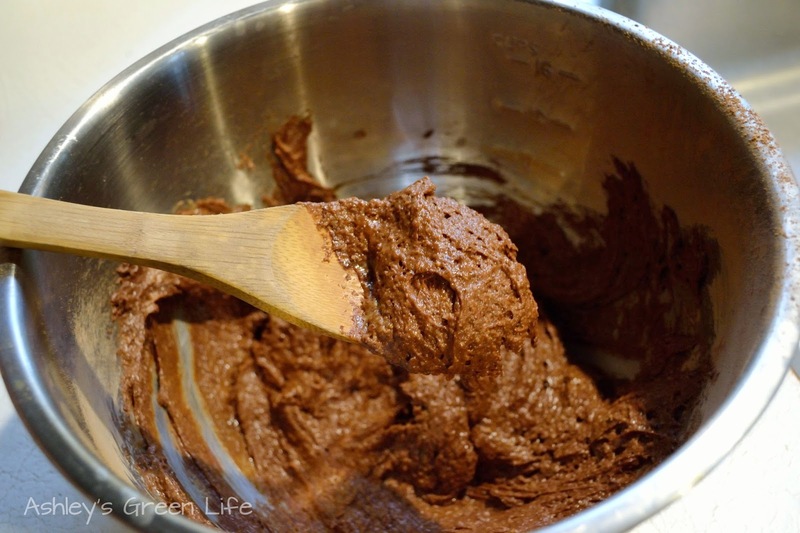 Have you ever tried brownies made from nut butter? Post your favorites and experiences below and we can all try a new one out.